Make an Impression with this Beautiful and Elegant Basket filled to the brim with lots of UPSCALE Award Winning Gourmet Foods to Share with everyone. 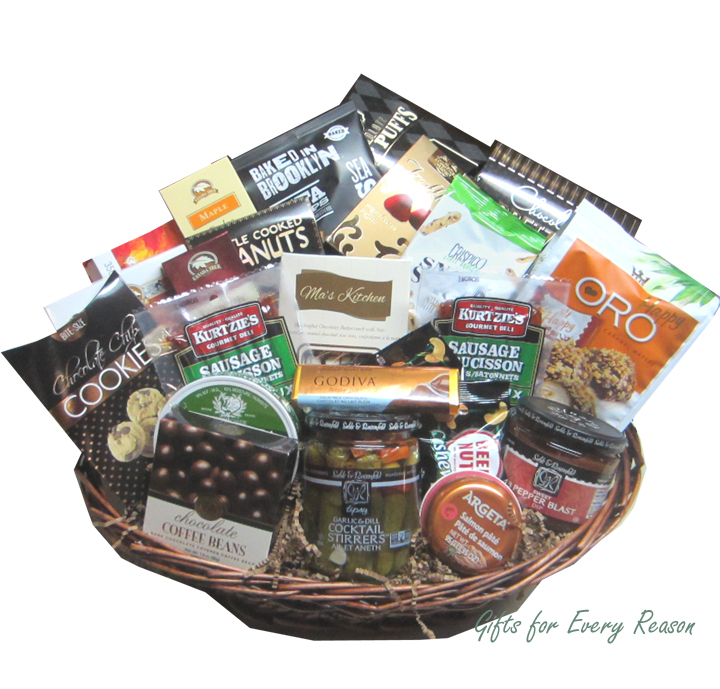 A super sized basket, perfect to share among Families, Offices or that Extra Special person! Wrapped in cellophane with elegant ribbons, hand crafted bow and a note card with your message.